The next few days, we’ll look at a little arc in the Jeeves stories. One of the things with Wodehouse being so absurdly prolific throughout his career is that many of his characters and ideas were sketched out in public. There are quite a few Jeeves stories published during the late teens into the early 1920s that just aren’t really the Bertie and Jeeves readers came to love and now remember. That can be problematic for Wodehouse newcomers. It’s very easy to start your Jeeves journey with the wrong story and never stick around to find the good ones. But it also creates a pretty cool point of analysis. We can see how the characters evolved over certain periods of time. So, we start with “Leave It To Jeeves,” first published (I think) as the second story to feature Jeeves. It shows up six years later slightly re-written as “The Artistic Career Of Corky.” As Jeeves stories go, it’s not very good. Bertie also doesn’t have any discernible characteristics yet. There really isn’t a comedic character here. The only thing that is funny is the plot. Ah, but there is one scene in particular that is very, very funny. 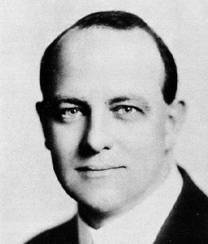 Wodehouse was heavily involved in musical theatre at the time, so it’s not surprising that he excelled at building a silly story to a hilarious apex. Corky’s portrait of his baby cousin is apparently hideous. But Wodehouse doesn’t describe it much, instead relying on observers’ reactions to convey the message to the reader. I don’t know, maybe it’s just me, but I laughed and laughed and laughed through the whole scene. It’s not anything close to a vintage Jeeves story, but hey, if you have the reader laughing out loud by the end, that’s pretty solid. And that’s quite a trick on Wodehouse’s part. We found Corky near the door, looking at the picture, with one hand up in a defensive sort of way, as if he thought it might swing on him. The light from the big window fell right on the picture. I took a good look at it. Then I shifted a bit nearer and took another look. Then I went back to where I had been at first, because it hadn’t seemed quite so bad from there. I looked again, and honesty compelled me to be frank. I’ve never actually read Wodehouse before but I need to read it now!